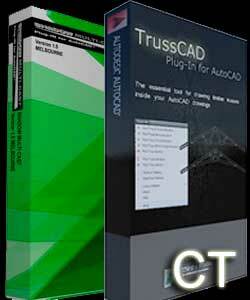 You redeem a credit when you would like to use the software. This is done using a Credit Token Key that is emailed to you after purchase. Each Credit allows 1 full days use at a time. You can redeem as many Credits at a time as you would like. Each credit redeemed allows an extra consecutive day of use without having to redeem the Credits again. Depending on the Credits you purchase, depends on how long your credits last. NEW!!!! 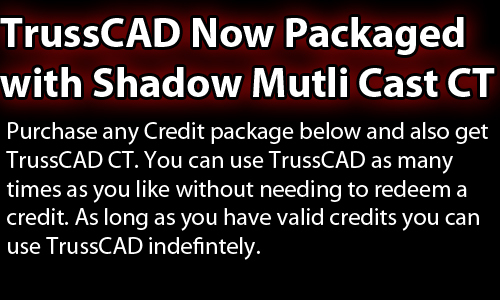 All Shadow Multi Cast CT users now also receive TrussCAD included in the package.